Whiplash is a nonmedical term used to describe neck pain following an injury to the soft tissues of the neck (specifically ligaments, tendons, and muscles). Usually associated with car accidents, it is caused by an abnormal motion or force applied to the neck that causes movement beyond the neck’s normal range of motion. At Renew Chiropractic, drugs and medicine are not utilized as a form of treating a patient. Dr. Jason Jumper can provide patients with a chiropractic consultation to discuss health related problems and concerns, as well as potential treatment options to restore the overall performance that the human body is lacking. There are several factors that affect the efficiency of the stabilization response to whiplash injury, including: posture at impact, overall physically condition and awareness of the coming impact. It should be known that some of these stabilization responses to whiplash are within the patient's capacity to control, while others are not. In addition to neck pain, other symptoms may include neck stiffness, injuries to the muscles and ligaments (myofascial injuries), headache, dizziness, abnormal sensations such as burning or prickling (paresthesia), or shoulder or back pain. In addition, some people experience cognitive, somatic, or psychological conditions such as memory loss, concentration impairment, nervousness/irritability, sleep disturbances, fatigue, or depression. At Renew Chiropractic, Dr. Jason Jumper’s primary whiplash treatment for related muscle dysfunction, muscle relaxation and/or stimulation consists of gentle stretches to the muscle that has excessive tension or repeated contractions of the muscle that is inhibited. If the muscle is very tight, Dr. Jason Jumper may apply a more vigorous stretch. Gentle finger pressure techniques may also be applied to trigger points to relieve the pain associated with the tight muscles. If you are suffering from whiplash, schedule a consultation to discuss your options. To learn more about chiropractic care at Renew Chiropractic visit ws6 for more information. To schedule an appointment with Dr. Jason Jumper at Renew Chiropractic in Lakewood, CO, call ph6. Waking Up Stiff? Waking Up from Pain? Here Are the Best and Worst Positions for Sleeping! Is your aching back keeping you up at night? Try these expert tips on how to cozy up for a more restful (and less painful) night. Dr. Jumper says personal preference and comfort rule when it comes to selecting a mattress and pillow. Some people prefer the firmness of a harder mattress, while others are more comfortable on a soft mattress. He suggests spending a night in a hotel that offers options for guests to purchase pillows and mattresses so that you can try before you buy. Or, see if your mattress store lets you try out a bed overnight or even longer. “If that is not an option, perhaps sleeping on the floor in a sleeping bag may mimic a firm surface, and sleeping on a couch may mimic a softer surface,” . Some people may find it helpful to use a contoured pillow to alleviate neck strain or to sleep on just one pillow instead of a stack of several pillows. If a few changes to your sleep position don’t help your back pain or sleep troubles, it may be time to get a medical opinion. If your pain worsens, Dr. Jumper recommends meeting with your chiropractor to check for any potentially serious problems. What makes your clinic special when compared with others in the area? What are you and your team proud of at your clinic? What we are so proud of and thankful for... We honor the inborn potential of everyone to be truly healthy. We desire to help the newborn, the aged, and those without hope. We choose to care for the patient with the dis-ease, not the disease. We wish to assist rather than intrude; to free rather than control. We seek to correct the cause, not its effect. We know doctors do not heal, only the body can heal itself. We have been called to serve others. We want to make a difference. Because everyday we get to witness miracles.......... Because we know it is right!  Specializing in the treatment of Car Wreck Injuries, Whiplash Injuries, Auto Accident Injuries, Neck Pain, Back Pain, Headaches, Sciatica, Disc Bulges / Herniations, Numbness and Tingling, Scoliosis, Sports injuries Shoulder Problems, Jaw Problems (tmj) and Carpal Tunnel Syndrome. WHAT MAKES OUR CARE SO SPECIAL? Modern technology has made treatment faster and more effective than it was 10 years ago. That's why we have the most up-to-date techniques and methods available. Dr. Jumper utilizes a 3-Dimensional Technique, Chiropractic Biophysics (CBP) and The Pettibon Technique to restructure your spine to its most optimum and stable position. Dr. Jumper individually customizes Mirror image Chirometrex exercises to your specific postural distortions rather than "generic" back exercises. We use the Alphabiotic Alignment to enhance neurological balance. Where we really stand alone everyone else is we will show you the results of your spinal changes with before and after x-rays. By seeing the results in black and white, you'll know your time and effort were well spent. It's the results that matter. "My back pain is gone; My headaches have stopped; My allergies no longer interfere with my life; My numbness and tingling are of the past; My overall health is better." These are the comments our patients tell us at Renew Chiropractic. Lakewood, Colorado (January 18, 2014) : Renew Chiropractic, is there in Colorado to free many people of their pain. Chiropractor Lakewood has suggested that general health exists in every person, and it lights up from inside, sparkling on whatever is left of our being and making us more proficient physically as well as enthusiastically and mentally. Exceptional health is an ideal for everybody. This is the way to go behind the act of chiropractic. Characterized as a health awareness restraint that is concentrated on managing mechanical issues in the musculoskeletal framework, chiropractic is for the most part seen by the customary gentleman as a grouping of learning about working with the human spine. The extent of chiropractic consideration is extremely inclusive. It manages the health of both men and ladies and additionally that of the seniors'. All the more, along these lines, chiropractic practices are additionally getting active in pediatric health and also in pregnancy. If it is concerning back torments, cerebral pains or damages from games, exercises, chiropractic has the reply to generally speaking wellness. Chiropractor Lakewood co. has come up with many modern ways in the chiropractic services. 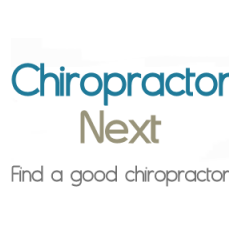 Apart from the traditional way of bone and nerve alignment and massage there are other many ways that the experts of Renew Chiropractic is using these days. They use the method of electric or cold laser. They also use various new exercises and at some times the intake of some medicines for the treatment. One of the experts of the clinic said,” We have many patients who visit our clinic each day with various kinds of pain. We listen to them and then based on the reports we provide them with the perfect remedies”. Maybe the best thing that chiropractic is glad for being its all-characteristic ways. There is truly no utilization of medications or surgeries. Other individuals think of it to be a progressive strategy in health awareness acknowledging how it combines the current methods of science. Chiropractic is a Healing Process. In the realm of chiropractic, there is the essential conviction that the figure is skilled with an astute framework that mends and controls itself. This limit permits the figure to uphold its full prosperity. The finished outcome is a completely practical framework that has the ability to satisfy the exact reason for its presence. The 5 Most Dangerous Words…"Maybe It Will Go Away!" Aetna, Cigna, United Healthcare, Blue Cross, Cash, Check, Visa, Mastercard, American Express, Discover & Care Credit. The bottom line that everyone should remember is that if one is in doubt, consult a doctor. If back pain is getting worse over time, does not feel better with rest and over the counter pain remedies, and/or involves neurological symptoms then it is advisable to be evaluated by a back pain doctor. •Sudden upper back pain, especially if you are at risk for osteoporosis. Award Winning Chiropractor Located at Wadsworth and Alameda in Lakewood, Co.
Award winning Chiropractor located at Wadsworth and Alameda in Lakewood, CO. Renew Chiropractic accepts most Health Insurance plans and all Auto/Car Accident Claims including Med Pay and liens. Dr. Jason Jumper at Renew Chiropractic specializes in treating Car Wreck Injuries, Whiplash Injuries, Auto Accident Injuries, Neck Pain, Back Pain, Headaches, Sciatica, Disc Bulges, Numbness and Tingling, Corrective Care Scoliosis, Shoulder Problems, Jaw Problems (tmj) and Sports injuries. There has never been a better time than right now to take control of your health before your health takes control of you. Been in a Car Wreck? Are you suffering with constant Neck and Back pain? Take pain relievers daily to suppress Headaches and Migraines? Or, are you just striving to make it into retirement with excellent health? If so, Call Renew Chiropractic in Lakewood, Colorado at ph6. When you are involved in an auto accident, it is sometimes too easy to ignore your physical pain as you deal with the stress of contacting your insurance, taking your car to be repaired and possibly missing work. However, seeking medical attention should always be a priority after an accident. Whether you feel intense pain or not, seeing a chiropractor will help you restore your health and prevent injuries from occurring in the future. In Lakewood, CO, Dr. Jason Jumper of Renew Chiropractic is a chiropractor that can help you work your way back toward normalcy. Auto accidents can definitely shake bodies up, and it is very likely that misalignment, subluxation or injury resulted from yours. When the body is jerked forward and backward quickly, whiplash, misalignment of the spine and tears to ligaments can occur, and if they are left untreated, these injuries can turn into chronic pain or lead to a worse injury down the line. In addition to pain, the misalignment of your spine can also lead to a loss of mobility, especially if you’re older. However, chiropractic care from Dr. Jumper can reduce your pain and increase mobility after an accident. By correcting your alignment and treating the root cause of your injuries, the doctor can treat any injury and restore your body’s overall health. Car accidents are never planned, but by scheduling an appointment with Dr. Jason Jumper of Renew Chiropractic, you can restore your health and regain some normalcy. To schedule an appointment in Lakewood, CO, call us.